Instagram has officially launched Instagram shoppable posts for e-commerce businesses! Gone are the days where you had to rely on that one link in your bio or the swipe up feature in Stories. Now, your followers can get inspired, shop and make a purchase – without leaving the Instagram app. It is a game changer for your bottom line. Here's everything you need to know about boosting sales for your e-commerce business with Instagram's shoppable posts feature. Did you know that 80% of Instagram's one billion users already follow an active shopping business account? What about that 200 million users visit at least one business profile every day? These impressive stats indicate that Instagram is one of the most engaged social networks – a honeypot for any online business. The Instagram shoppable posts feature sweetens the deal. Once you have your product catalogue connected to your business account, it's as simple as tagging a product in a post to turning your Instagram followers into your e-commerce buyers. It's the easiest way to turn casual passersby or devoted fans into paying customers. You need to be based in one of these countries. Your Instagram app needs to be the latest version available for iOS or Android. Your e-commerce business must sell physical goods that comply with the merchant agreement and commerce policies. Meet all of the above requirements? Great! You can proceed to the next step: setting up your Instagram sales channel with either Facebook, Shopify or BigCommerce. Okay, get out your notebooks and grab your pens. We are about to get technical! Step 1: Log into your Facebook account and head to the Business Manager account. Make sure it's for the Facebook page that is linked to your Instagram business account. Step 2: Open your Business Manager Settings and click on People and Assets. Click on the "+ Add" and select Create a New Product Catalog. Step 3: Name your catalogue and select the types of products you'll be selling. Want extra help? Read Facebook's super detailed guide. If you want to use Shopify, you need to have the Facebook sales channel installed. This feature is included on all paid Shopify plans, and it creates a Shop tab on your FB page. Step 1: Log into your Shopify account and go to the admin area of your account. Step 2: Click on the "+" button next to the Sales channels heading. Step 3: When the "add sales channel" dialogue box pops up, select Instagram, and click on add channel. Step 4: Follow the prompts to authenticate your Instagram account for the sales channel. Step 5: Log into your Instagram business account and enable the feature by tapping on "shopping" underneath the business settings section. You can also check out Shopify’s guide for more details. Your third option to create Instagram shoppable posts is to use BigCommerce. Step 1: Log into your BigCommerce account and open your channel manager. Step 2: Select "get started" next to Facebook. Step 3: Follow the prompts to confirm your currency and review the product requirements. Step 4: Enter all the required details on the configuration page. Step 5: After Facebook approves your catalogue, go back to your channel manager and click on "get started" next to Instagram. Step 6: Follow the onscreen prompts and confirm that your store meets all of the requirements. Once your sales channel is up and ready to start bringing in the sales, you need to do one more step. Head back to your Instagram account, go to settings, scroll down to the shopping section and select products. You'll be able to add a product catalogue and connect it to your Instagram profile. Once you're finished, tap done and get ready to start putting your account to work! The technical side of Instagrammable shoppable posts has come to an end, my friend. The next few steps are super quick, easy and don't require a tech support ticket. Step 1: Upload a photo to Instagram as usual. Step 2: Add any filters or effects and tap "next." Step 3: You'll see an option to tag products where you usually add your caption, location and tag other users. Step 4: Enter the names of the products you want to tag and select them as they pop up. Step 5: Once you've added all your products and other information, tap "done" and share your post! You've officially graduated from the Instagram Shoppable Posts University, and you're ready for that boom in your e-commerce sales. Don't only tag your new posts with products. Go through your feed and select a few of your existing photos. This way, if any new followers stalk your profile, you can still make a sale from a photo posted last week or last month. You can add up to 5 products on a single post or 20 if you're using a carousel post. By creating at least 9 shoppable posts, you will activate the "shop" tab on your Instagram profile. With this feature, your followers and passersby will be able to see ALL your shoppable posts under one tab. It helps people browse your products faster and quickly convert them into paying customers. Millennials trust user-generated content 50% more than other types of media. Make sure you're curating content from your followers, reposting their images in your feed (with credit given to them in the caption) and adding shopping tags to the products in the post. While Instagram shoppable posts are an exciting feature, you must resist the urge to make EVERYTHING about the sale. You don't want your audience to feel like they are being sold to 100% of the time. Keep to your usual content strategy and naturally fit in shoppable tags. Tap to the analytics section of your Instagram profile, and you'll see a whole new section for shoppable posts. You'll be able to see how many people tapped the tag and clicked through to its product page. Use this information to discover what type of products your audience loves and if there is a disconnect in your buyer's journey. Ready to Start Using Instagram as a Business Marketing Tool? 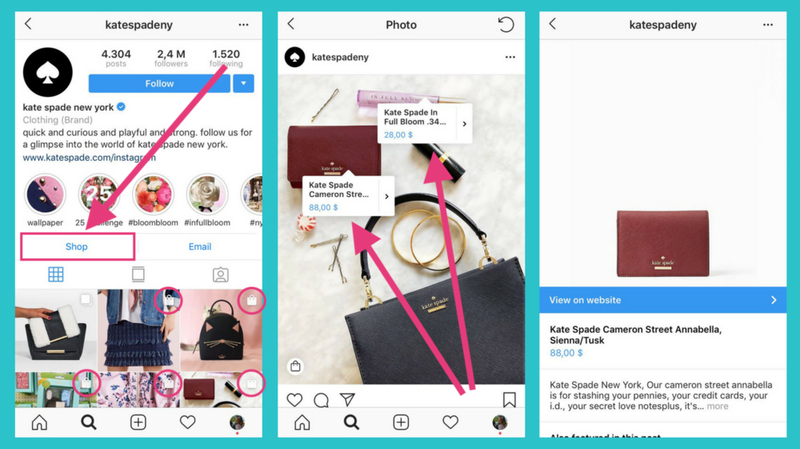 By adding shoppable tags to your Instagram profile, you can give your e-commerce business the sales boost it needs. 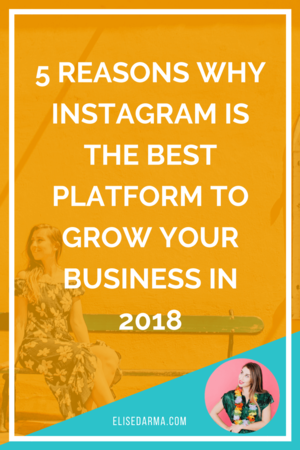 But still not quite sure where to start when it comes to creating a profitable Instagram marketing strategy? Sign up for my free masterclass, where I teach you three secret strategies to gain 1,000 new followers in 30 days.